So the individual project I mentioned in my earlier post today is a game called ‘High’. 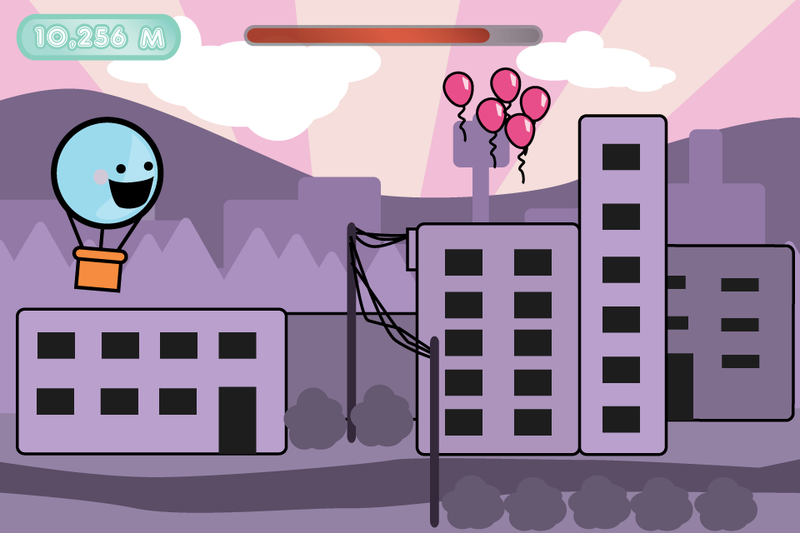 It’s a small simple 2D game where you attempt to gain the highest score by staying airborne as long as possible. I’m creating it with unity3D with the intentions of a multi-platform release at some point (unity is an excellent and flexible tool for achieving this). I’ll be doing pretty much everything in the project at this stage with some help in the art department from my sister Lucy. It’s my first programming project in a while so it’s somewhat daunting but I know I’ll achieve my goals if I just work at my own pace. Below is a concept image with a style that I think is achievable with my current skill level. It’s also working really well with the proof of concept/prototype work I’ve been doing. Hopefully I’ll update again soon with some gameplay footage in the coming few weeks.